Amazon has announced 1,000 tech jobs for Ireland over the next two years. Taoiseach Leo Varadkar welcomed the announcement, saying it would help Ireland meet its ambition to make Dublin the ‘tech capital of Europe’. The jobs are all high skilled roles including engineering roles and technical management positions. 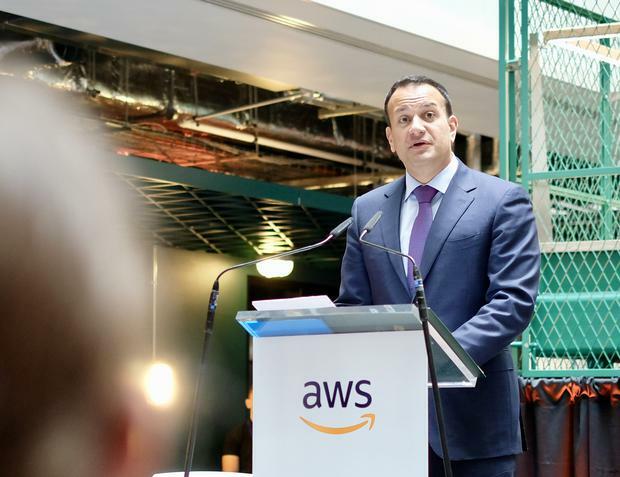 Amazon’s Irish boss, Mike Beary, made the announcement at the launch of the company’s new Dublin office building in Dublin 4. The company has over 1,000 employees in Cork and around 1,500 in Dublin, where it focuses on cloud services. While the company is best known as an online retailer, it is one of the world’s fastest growing companies for hosting businesses online through its Amazon Web Services (AWS) division. Amazon has been present in Ireland since 2006. AWS is currently growing 49pc year on year, said Mike Beary. “The new jobs we’ve announced will include software engineers, network engineers, big dat and machine learning specialists,” he said. In an address to workers at the company’s new city centre building on Dublin’s south side the Taoiseach said it is difficult to predict the impact that Brexit and a shift in international attitudes to trade will have on Ireland but said that contingency planning is underway to address all scenarios. Mr Varadkar said Ireland is becoming a digital hotspot and referenced plans to address delays in the planning process in relation to data centres.